Here at the Aquarium we have turtles on the brain. Even more than usual, that is. Look for Myrtle the turtle at Park Street T station this summer, and all around town! 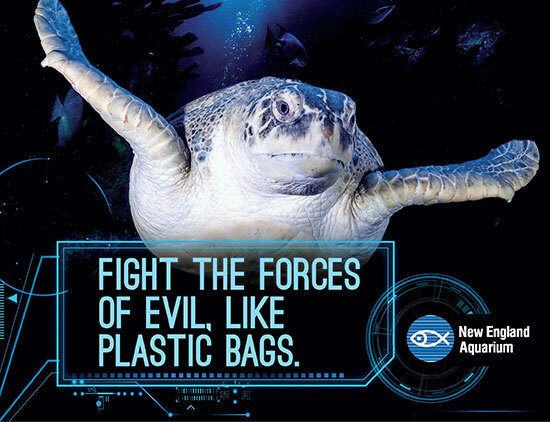 That's because our new exhibit featuring the turtle rescue experience is now open, our summertime ads featuring Myrtle the green sea turtle are splashed across the city and our real-life sea turtle rescue team is set to be honored at Fenway Park ahead of Friday night's game. First stop: Park Street T station tomorrow morning! In honor of Myrtle's mug taking over the station, we'll be on site at 8:30 a.m. with bags to give away to the first 200 folks who we reach. First 200 people to find us at Park Street on Thursday, July 2, get to take home this reusable bag! 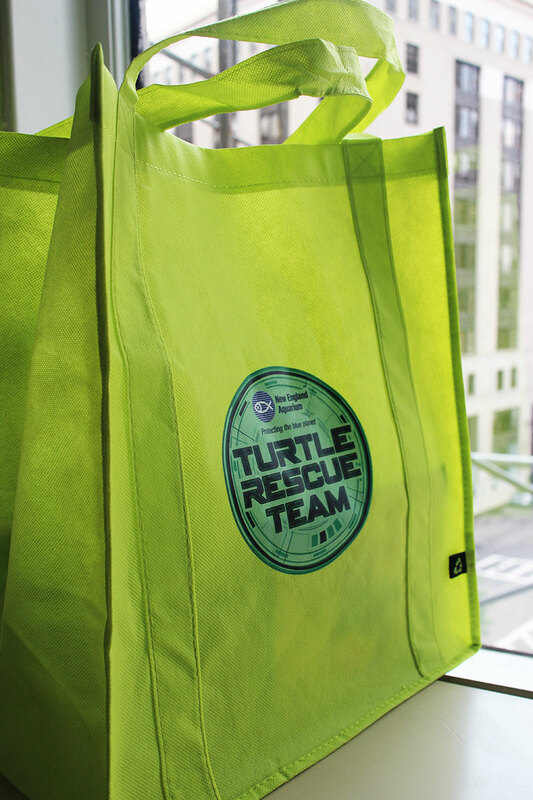 But if you miss us at Park Street tomorrow, you can still try your luck at winning some turtle swag by sharing your own #TurtleRescueTeam pictures on Twitter, Instagram and/or Tumblr! Just use the #TurtleRescueTeam hashtag and show us what you're doing doing to help turtles. If you're at Fenway on Friday, be sure to look for our rescue team and give them a nice big round of applause for all the turtles they've rescued, treated and returned to the ocean. And now it's your turn! Visit the Aquarium this summer to learn more about the sea turtle rescue experience and learn how our every day actions can help turtles.